Make sure your gear is in top shape by getting a thorough tuning job done. Our tuning service inspects and evaluates your current setup, looking for opportunities to enhance your consistency by ensuring your bow, arrows and accessories are in working order and properly balanced. The High Altitude Archery range consists of 37 lanes a standard 20 meters indoor distance divided into 3 separate practice areas. We also have movable bales which allow archers to practice at 10 or 15 meters. 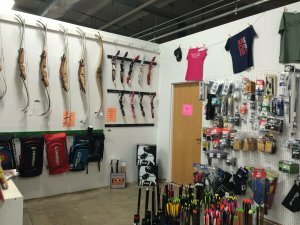 High Altitude Archery specializes in stocking a broad range of archery equipment focused on the needs of the competitive archer. Here you will find USA Archery approved equipment such as stabilizers, sights, strings, dampeners, arrows, and everything else imaginable. 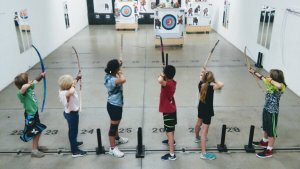 Lessons are available for any ability level from “never picked up a bow” to “have been shooting for years.” We teach ages 10 and up in group lessons and any age in private lessons. Online registration is available.